You are here: Home / News & Announcements / Two SPH Students Are Awarded The Inamori Fellowship! Two SPH Students Are Awarded The Inamori Fellowship! Two of our very own School of Public Health students were awarded the Inamori Fellowship. Congrats to Briana Thrift and Hena Din! The Kyoto Symposium Organization is a California non-profit corporation founded in 2004 to organize and administer San Diego’s Kyoto Prize Symposium. The organization is dedicated to promoting education and expanding the mission of the non-profit Inamori Foundation, and the Foundation’s Kyoto Prize, in North America. Part of the Kyoto Prize Symposium, the Inamori Foundation awards ten masters or doctoral level students each year across San Diego State University. Briana Thrift is a second-year Master of Public Health candidate, specializing in epidemiology. She aspires to raise awareness of the human rights violations and health disparities she has witnessed within her own community, and disrupt systemic barriers faced by vulnerable communities. In 2016, Briana received her B.S. in public health with a minor in African American studies from the University of California, San Diego (UCSD). As a black and queer activist, Thrift is invested in conducting HIV and sexual health research to promote healthy outcomes among medically underserved communities. 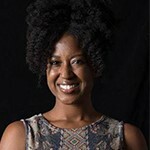 As a graduate student, she has worked alongside faculty from both UCSD and SDSU, studying HIV and interconnected components through mixed methodologies. Since 2016, Thrift has been heavily involved in Jamila Stockman’s and Laramie Smith’s EmPower Women project, investigating stigma-related factors, social support, and women’s engagement in HIV treatment. Ultimately, she aspires to serve as a faculty mentor and behavioral epidemiologist, focusing on Black LGBTQIA community health outcomes and improving sexual and gender minority access to preventative care.  Hena Din completed her undergraduate degree in human biology at UCSD and her Master’s in Public Health at SDSU. Her interests in public health include multicultural health evaluation and system level approaches to solving health issues. Din is currently a student with UCSD/SDSU’s Joint Doctoral Program in Public Health with an emphasis in Health Behavior. 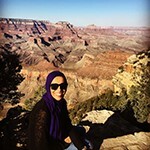 Din has worked extensively with the refugee community in San Diego and with the American Muslim community nationally, researching topics from physical activity to mental health. She has also worked for many years with the Latino community through several projects at the Institute for Behavioral and Community Health (IBACH) including a childhood obesity demonstration project, a community wide physical activity intervention and as a project manager of a minority training program. Din currently serves as the surgical research coordinator conducting and supporting research at Rady Children’s Hospital-San Diego. Here she works on patient health outcomes and quality of life-based research across the surgical divisions.